2014 Garden season is here and are you ready? Onions slips have arrived at Russell Feed! The 1015Y Texas Super Sweet gets as big as a softball. This yellow early-maturing onion is recommended for southern gardens. It is very disease-resistant and will store better than others. Yellow Granex (Vidalia type) is a sweet variety. It is the earliest maturing variety available and is recommended for southern gardens. It has flat, thick bulb and dose not store well. White Granex (Vidalia type) is a sweet variety. It is one of the early-maturing varieties. It is recommended for southern gardens. Crystal Wax (White Bermuda) is an old gardening favorite. They are thick, flat bulbs that grow best in southern gardens. 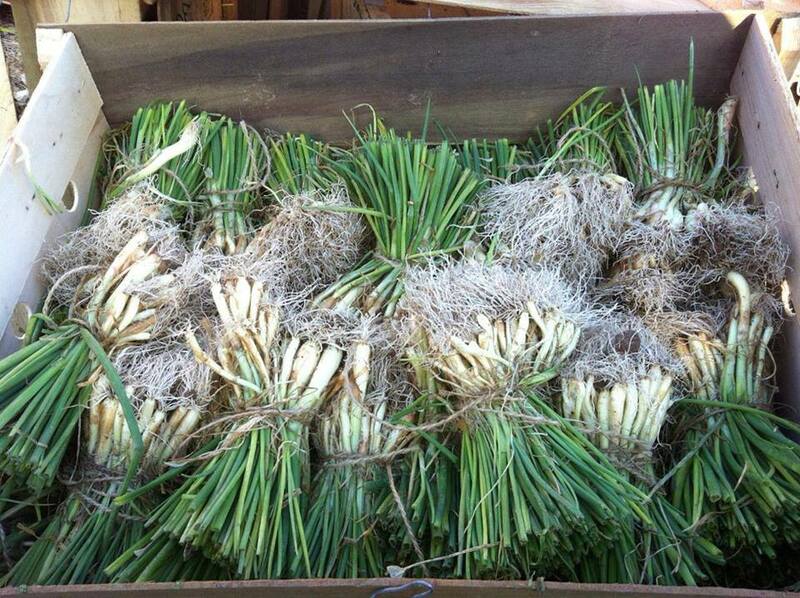 Plant onion slips approximately 1 inch deep or deep enough to support the plant and keep it from falling over. Plant in January and harvest in May to June. For more garden info e-mail mike@russellfeedandsupply.com or check out Benbrook Organic and Native Plant meeting on January 23, 2014 at the Benbrook Public library. Meeting starts at 7:00 pm. This entry was posted on Tuesday, December 31st, 2013 at 12:07 pm	and is filed under Mike's Monthly Garden Newsletter, News & Updates. You can follow any responses to this entry through the RSS 2.0 feed. Both comments and pings are currently closed.